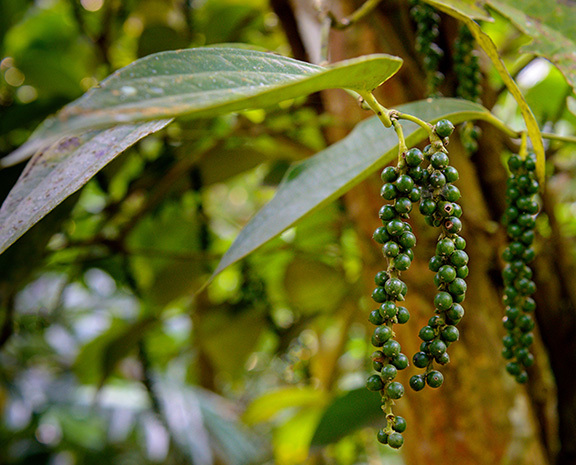 Joseph Colbourne has this to say “Black pepper absolute has dimensions that will surprise those who are accustomed to the high-vibration, fleeting punch of the essential oil. This has much more depth and character. It opens with the expected sharp, peppery notes but with leathery yet savory-sweet, mildly floral, agrestic sensations. As it dries in five to fifteen minutes it gets warmer, almost mossy, marine-like, animalic, deep, nuances of tobacco, hay, continued leather, and the beginnings of an oud complement. There’s also marked tar-like and cade-like characteristics.